If you have been reading our content for long you know we are high on traffic and marketing diversity. For many smaller operations the concept of managing paid leads, advertising channels, content marketing and lead nurturing is often too much to contemplate. As someone that has worked with numerous upstart agencies I absolutely understand the reservations. Most SMBs are very lean and operate in a constant state of survival mode so a suggestion to incorporate anything beyond mission critical tasks is a challenge. As an advisor the challenge I face is helping business owners realize inbound marketing has rapidly become one of those tasks. Sure, many businesses can make it focusing on just one sweet spot channel such as direct mail or real-time internet leads, but it is a risk. The benefit of integrating inbound marketing is the creation a consistent source of new prospects and improved conversion for all other channels at the same time. This is not typically an easy sell. 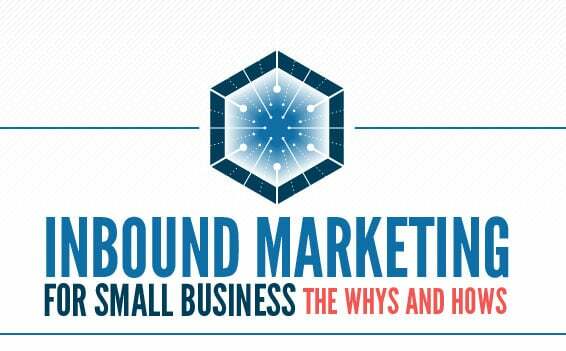 I like to think of inbound marketing as a link that brings everything together to create a full marketing circle. Simply trying to explain inbound marketing and the need for content creation with words alone can quickly fade into that Peanuts scene where the teacher has a distant muffled voice. Instead, I like to use stats and graphics to help illustrate the point which have been included below. One important thing to note is that an inbound marketing plan is not an all or nothing action. It is a process that takes time to integrate and refine. There are a lot of ways to go about it but if done properly businesses can expect major benefits such as increased efficiency (through automation), passive lead generation and higher returns on ad spend. You can see a find a few recommended tools on our resources page here.